First, I want to say I LOVE Piers Morgan on America’s Got Talent and Twitter. His whole “persona” comes across perfectly as a judge and in 140-characters. When I heard he was Larry King’s replacement I harkened back to his appearance on Celebrity Apprentice and thought he would do a great job “handling” the celebrities and wouldn’t be too intimidated to ask the tough questions. I was wrong. Piers doesn’t lack chutzpah, he appears to simply be too narcissistic and has more interest in what he has to say rather than his interviewee. Piers is a trained reporter and editor. 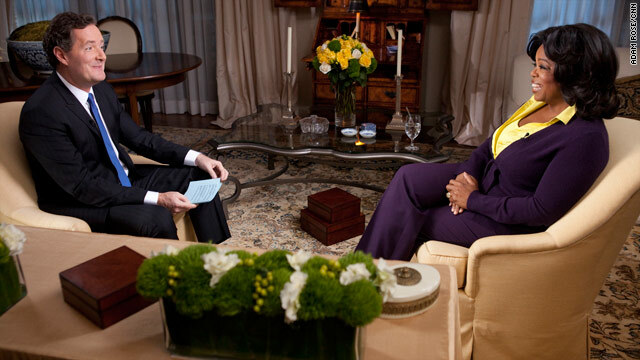 He has the pedigree to replace Larry King; unfortunately he’s just not a good interviewer. Instead of focusing on the interviewee, you can see him anticipating a hole in the conversation so he can make his next comment. Seeing him in action reminded me that the interview can only be as good as the preparation of your interviewee. Practice: Successful message development and delivery depends on preparation. Think through how you will respond to tough or hostile questions by developing and practicing clear, honest and appropriate answers. Conclusions: Prepare and present your conclusion throughout the interview. Just as you wouldn’t bury the lead you can’t “hope” the interviewer will ask you the perfect question. Avoid Jargon: Instead of using industry jargon speak in simple lay terms. Key messages: Prepare, understand and practice key messages. Return to key messages as often as possible – Think Bill Clinton not Gary Condit. Deal with difficult questions: Some questions can’t be given a straight answer, but to avoid the question looks bad too. Bridging and Blocking are very effective assets. Never Repeat Negative Questions: Always frame your answer in the positive. Think about sound bites. Stick to your message: Simple is better. Avoid the expert trap of over-answering. Work on test questions and learn when to stop talking. Remove distractions: Technology is wonderful, but even the most seasoned interviewee can’t fight the Pavlovian response of the flashing red light or the subtle vibration that a message has arrived to their mobile device. Relax: Be calm, confident and conversational. In fairness to Piers, his first guests, Oprah Winfrey and Howard Stern, are arguably two of the best interviewers in the industry. They ask questions, some tough and some embarrassing, and get out of the way so people can answer. They have an inherent ability to relate and create a bond with the interviewee. Really great interviewers are few and far between which makes interview preparation an imperative skill for PR pros. These tips are the basics. The best “tool” in your public relations toolkit is a video camera. Video magnifies the strengths and weaknesses of your interview skills and allows you to fast-track growth and improvement. Do you have any tips and tricks you use for media training?